Critiques Of Libertarianism: That's what freedom is all about: taking your own risks. That's what freedom is all about: taking your own risks. That's how Ron Paul described his campaign manager's early, uninsured death. However, "When he died on June 26, 2008, two weeks after Paul withdrew his first bid for the presidency, his hospital costs amounted to $400,000. The bill was handed to Snyder's surviving mother (pictured, left), who was incapable of paying. " Recently, Brad DeLong wrote Economic Anthropology: David Graeber Meets the Noise Machine... where his comment was: "Indeed. It really looks from the anthropologists that Adam Smith was wrong--that we are not animals that like to "truck, barter, and exchange" with strangers but rather gift-exchange pack animals--that we manufacture social solidarity by gift networks, and those who give the most valuable gifts acquire status hereby." I think DeLong is in error because the barter and gift paradigms are often both used. They are not exclusive. The error is to claim only one applies or that they are exclusive, and I doubt Adam Smith makes either of those particular errors. When we are involved in gift networks (such as families) we are not independent: others are relying on us for future gifts and we "owe" for past gifts. This is one of the great blindnesses of libertarian ideology, and it explains why libertarians will not see as problems what normal people see as problems. One of my favorite examples is drug usage. That's why this Brain on Drugs public service announcement about heroin seems comical to libertarians, but makes sensible people cry. Gift networks are very emotion-laden. I haven't worked it out yet, but I think this ties in with the idea of libertarianism as applied autism. Please don't equate market fundamentalists with autistics. Anagory, I'm very sympathetic to your request. But in this case I'm not. There does exist the post-autistic economics network, which looks like it is in the process of switching to the more politically correct "real world economics". And that's a good thing. But I'm talking about the fact that many autistics (for example some Aspergers that I know) do not "get" certain types of emotional signalling such as raised voices, angry faces, body language, etc. I would guess that they might not perceive and thus not empathize with the emotion in the video. That's why I'd compare a laughing libertarian to them. iii) demonstrating that they just don't get it and, while they might be sympathetic, they are lacking in actual empathy, which was the criticism they were directing against others. So,it's okay when you do it, but when others do it it's a sign of mental deficiency. The invisibility of privilege; nothing quite like. You say: I think DeLong is in error because the barter and gift paradigms are often both used. I assume you are familiar with a culture the anthropologists are aware of that does display the type of barter behavior described by economists. Care to tell us which culture that is? 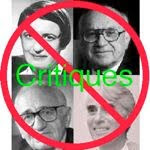 While supporters of Austrian economics don't believe in empirical evidence and so don't feel they have to support their assertions with any real world examples, the rest of us need to cite actual evidence to support our assertions. My explanation does not say autistics lack empathy: it gives real reasons why in certain cases, some will not feel empathy because they cannot perceive the triggers in faces and voices and body language. Those same people might well respond empathetically to written or spoken descriptions of the feelings involved. Just as we wouldn't say that a blind man is not empathetic because he doesn't see the sad picture. But it would be reasonable to compare a libertarian to the blind man if the libertarian shuts his eyes to avoid the picture. When I used the term "barter" in my original post, I was referring to "truck, barter, and exchange" which Smith presumably observed in his own mercantile culture, and which obviously also includes money. There is no doubt that the vast majority of modern societies does that now. Ron Paul is a jerk. But as an autism-basher you are not in any way better. Shame on you. Oh, boy. I'm on the wrong side of an identity politics issue. Clarissa, anagory and Zoran, you can call me an autism basher when you can explain why you're not calling me out for "bashing" blind people. You cannot restrict all use of the word autism, just as you cannot restrict all use of the word blindness. Yes, ask people to discontinue the use of slogans that transmit harmful stereotypes and associations. And explain that such stereotypes are obnoxious or painful. But please consider that a growing number of people are sympathetic to such minority issues, including teachers like me who actually get professional training in that subject and are expected to teach it to our students. Idioms and metaphors about blindness are probably a lot more common that ones about autistics, and have certainly been around a lot longer. But note that at least some of them attribute an up-side to blindness. We honor justice by saying that justice is blind. We consider color-blind hiring to be part of "best practices." We use an instrument called a "blind trust" to prevent conflict of interest, and conduct "double blind" studies to ensure integrity of findings. It would be nice if some fraction of the autistic-related figures of speech drew our attention to the plus side of the ledger; perhaps implying, for example, a certain "guilelessness," if you know what I mean. Maybe people could say something like "sometimes I wish my insurance company were more autistic, and would take my statements at face value." That sort of thing. The DSM lists (DSM-IV-TR, p. 75) a few of the Diagnostic Criteria for Autism. Among them are (1)(d) - lack of social or emotional reciprocity. While this doesn't use the word empathy, it seems to be the same concept. I don't consider myself to be an expert on autism, but I worked with Autistic children in a specialized setting for a year, and one of the identifiers I heard used repeatedly was lack of empathy. I also worked with Autistic children in an educational setting, and the same concept/criteria was used there. Is the problem with what Mike Huben said that this is wrong, or that he shouldn't use autism in a way that others don't use it? I don't think you can really can't expect non-specialists to use specialized terms with the same precision as the texts, but I don't know that pointing out that a group of people have similar traits to those that cause the most trouble for those with the disorder is "bashing" those with that disorder. I think it's meant to be a comment on the social issues of some libertarians and not bashing those with autism. Although, I would agree that it's kind of a low-blow to equate anyone with libertarians. Am I seeing something incorrectly?